Think paper bags are only good for toting groceries? 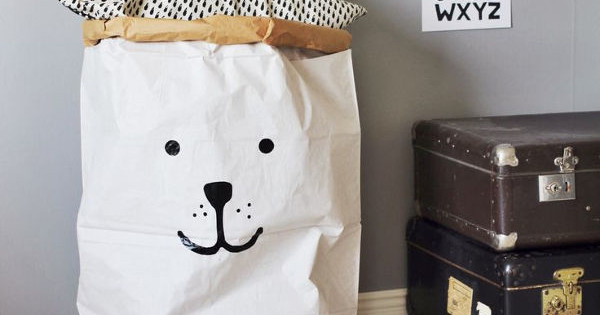 In case you’ve missed the latest design craze, the humble paper bag is now one of the hottest storage items, particularly in nurseries, and we’ve found a super cute one! Let me preface this post by saying that the paper bags we’re talking about aren’t your run-of-the-mill, rip-at-the-drop-of-a-hat paper bags. 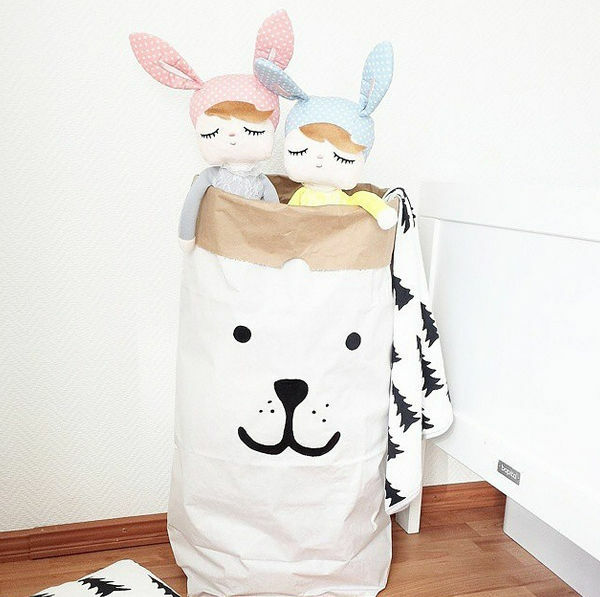 These Tellkiddo Bear Paper Bags are durable as well as an on-trend storage option. The look of the bags is a little bit vintage. The more beat-up they look, the better. They crumple, they fold and they still look gorgeous. You (or hopefully the kids) can toss toys into them, or they can store blankets, or even dirty laundry. 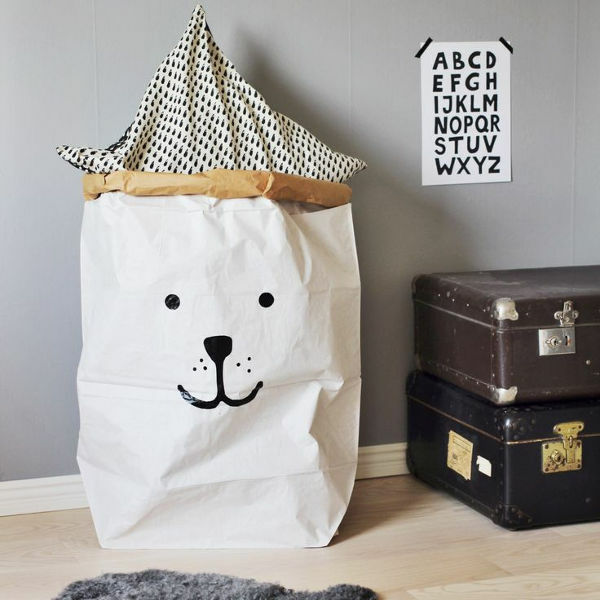 Hand painted in Sweden, the Tellkiddo Bear Paper Bag, in a limited edition size of 55cm by 22cm by 80cm, is available from Young Folk for $24.95, plus postage.